Click on the Play Button and 'New Super Mario World III' will start after this message... Thanks for waiting! Beat this first stage in Super Mario and collect as many coins as you can. Trust your instinct! In this second world of Super Mario you'll have to collect as many coins as you can. Help Mario tackle all kinds of obstacles jumping around and facing his numerous enemies! Clear 7 challenging new worlds with up to 94 ways out! Have fun jumping, collecting coins and power-ups -- join Mario in this new adventure full of dangerous obstacles and enemies! Have fun! Help Mario tackle all kinds of obstacles jumping around and facing his enemies! Good luck! Mario needs your help once more -- dodge all kinds of obstacles and face his enemies! 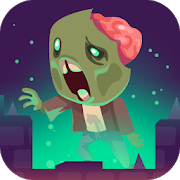 Jump, collect coins and power-ups and survive! Help Mario start a new adventure looking for his brother Luigi, who got lost on his way to the supermarket! Jump, collect coins and enjoy 16 new stages! This is one of the best flash versions of Super Mario. It includes nineteen levels and Super Nintendo playability. Bowser Battle! Can you defeat your arch enemy? Crush him and throw robots at him! Once he dies, he'll release the princess. Enjoy this version of a classic, Super Mario World, released for Super Nintendo! Rush across the stages collecting coins and getting rid of your enemies. Jump and dodge dangerous obstacles! In this third stage of Super Mario you'll have to dodge the carnivorous plants and collect as many coins as you can.